← Tiny Telephone in the New Yorker!!! 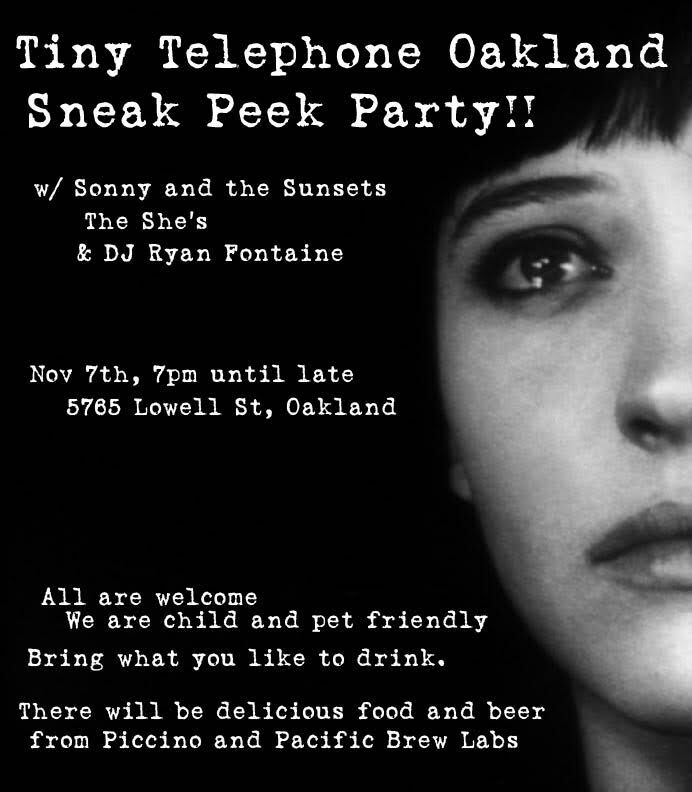 Tiny Telephone Oakland Sneak Peek Party! Tiny Telephone Oakland is opening real soon, and we’re having a sneak peek party!! November 7, 7pm, 5765 Lowell St, Oakland CA! BYOB, and we’ll have food and drink there too! Check out the poster below. See you there!! Comments Off on Tiny Telephone Oakland Sneak Peek Party!